The promotional chuckwagon plastic bag has convenient die cut handles. Give your customers the Chuckwagon Plastic Bag which they can carry around while shopping and automatically promote your brand. 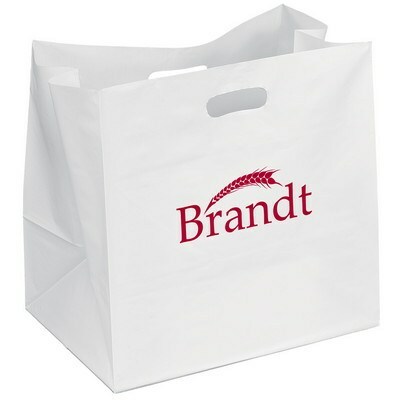 Stamp your company’s logo on the bag through Flexographic ink imprint to maximize brand exposure. The white bag is made from high density plastic and is 100% recyclable. The convenient die cut handles make it easy to carry the bag. The 10" bottom with cardboard insert provides sufficient storage space. 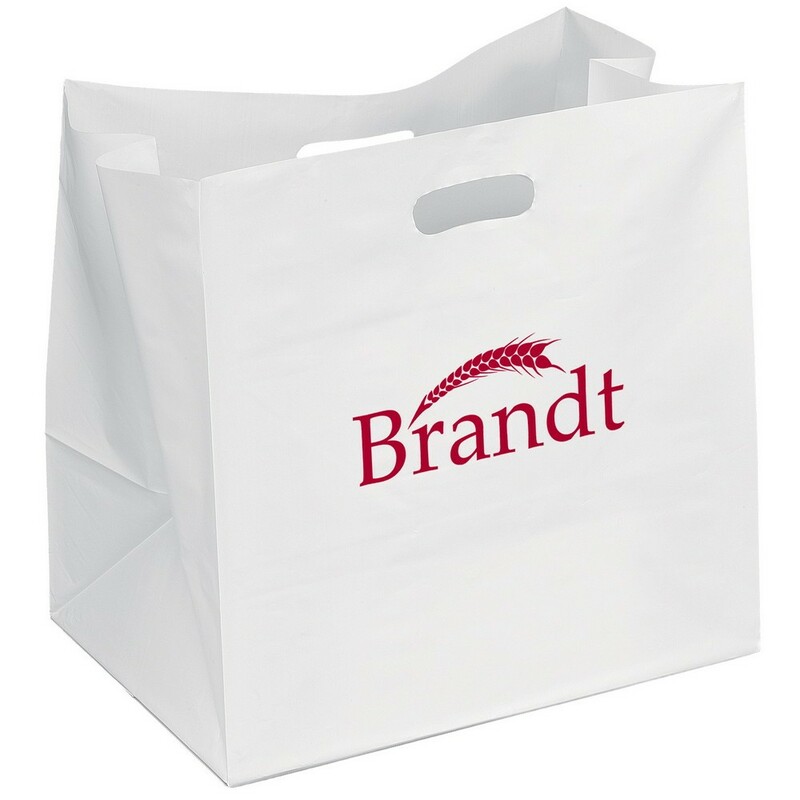 Give away the low cost bag at malls, trade shows, and carnivals, to gain prominence over your competitors.